Building up on the creative explosion from previous EP, ††† (consisting of Deftones' Chino Moreno and collaborators, Shaun Lopez and Chuck Doom) brings forth another set of tracks that revolves around the same dark, electronic ambience present from their debut EP. With little to none known about the members of this project other than their prolific vocalist, ††† took me by surprise with their ambience-filled electronic mood music in their first EP (EP † , August 2, 2011). Being really impressed by the first offering, the second EP was a no-brainer for me to dig into. However, the mood of the tracks in EP †† is a little more darker and moodier than the pretty upbeat first release. Fron†ier is a great opening track with its sporadic drum beat and changes in tempo and the almost unforgettable melody line for the vocals. Showcasing a mix of spacey guitar soundscapes and synths that engulf you in this delectable aural journey, it is definitely an appetiser for the rest of the EP. Next track, Prurien† is pretty much the same as the Fron†ier but things really start to pick up with my personal favourite and third track, †elepa†hy. With its almost-impossible-to-hate chorus, catchiness and thumping bass line, it is difficult to not love this track. It is such a shame that it all ends too soon to be succeeded by minimalistic †rophys and the finale, 1987. 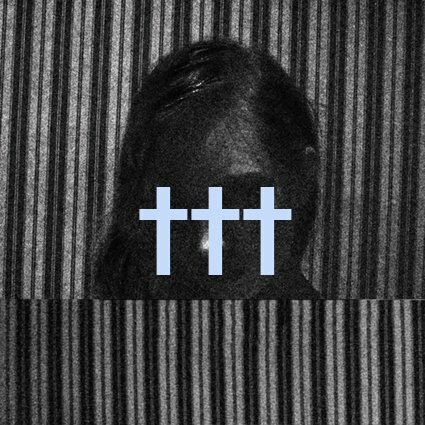 With two EPs released, ††† have nothing else but an LP to release to satisfy fans though personally I would prefer it goes the same way as the first EP cause as good as EP †† is, I realise I will always find myself going back to the debut for my dosage of †††. 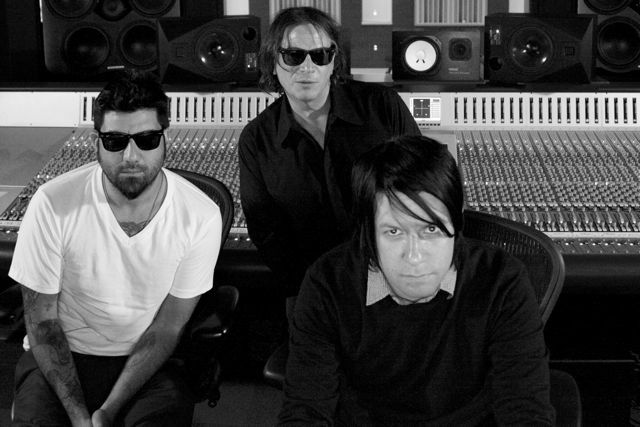 And on a little side note, Chino has now joined members of legendary Post-Metal group, ISIS, to create Palms. Now that would be something very interesting, especially to me. EP †† can be bought at crossesmusic.com.